The ‘Internet of Things,’ (IoT) is all around us. Uses are endless and increasing. Government is taking notice and beginning to explore how it and citizens might benefit. To help governments make smart decisions on how to invest public resources responsibility, feasibility studies about strengths and weaknesses along with proof of concept projects are critical. With that in mind, we partnered with the UAlbany College of Engineering and Applied Sciences' Signals & Networks Lab, UAlbany Parking and Mass Transit, and UAlbany Office of Facilities Management to study the feasibility of using ultra-wideband (UWB) technology to improve public transportation. Ultra-wideband technology is a wireless radio system that uses a small amount of energy to transmit large amounts of data over a wide range of frequency bandwidths, allowing for ranging and localization at the same time. For public transportation, the use of UWB potentially provides numerous benefits to include better tracking of trains and buses and improving the fare payment process by eliminating the need for turnstiles, tickets or cards, and depositing money or swiping for payment. These demands include specific levels of accuracy, consistency, and resiliency that are required by public transportation authorities to ensure service quality, effectiveness, and safety. 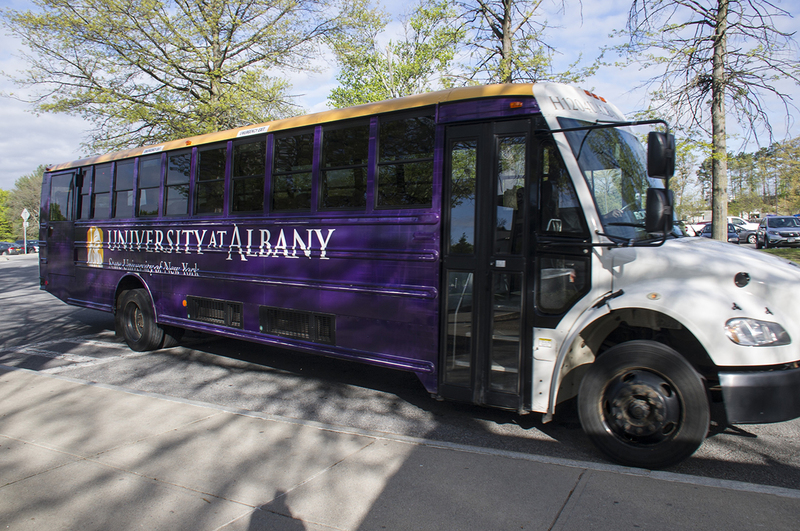 This eight-month study was designed to help assess the effectiveness of UWB through a series of experiments using UAlbany’s facilities and transportation infrastructure.